The market for hands-free devices is growing very quickly. This growth has been driven by multiple factors including legal ones. In some states they are required for driving which has been pushing the market forward. Sadly, the market has not really moved forward over the last few years. The devices have gotten smaller, but the feature set and battery life has not changed much. 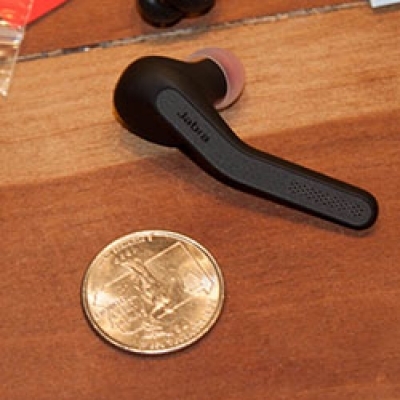 Jabra has been working on changing that over the last year and have come out with some great new hands-free kits including the Jabra Eclipse which is what we are taking a look at today. I lost the box before I got the unlock code. ..what do I do to get it? I like the new site format. And I found the review very helpful. Thanks!